Pursue a career you love: Learn how to run and sell Design Sprints. There is a huge demand for Design Sprints right now. A Design Sprint is usually priced between $5k and $35k and can be delivered by one facilitator. You? We can help. Learn online the skills and tools you need to plan, execute and sell Google Ventures' Design Sprints or MVS Service Design Sprints. Get certified and boost your career. ‍Check our SwitchUp reviews (5 stars). Go beyond Design Sprint facilitation. We specialize in helping you set up shop. You will acquire strong foundations in Design Thinking, Service Design and UX. We make sure you have the confidence to take the leap and run your first Design Sprint. 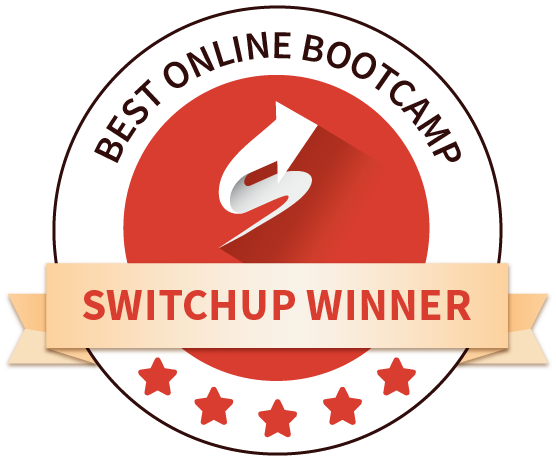 * Awarded by SwitchUp at the 4th annual Best Bootcamp rankings. Winner Best Online Bootcamp 2019. Everything you need to know about Design Thinking and Design Sprints in one place with no sales pitches. Solid foundations on user research, ideation, and prototyping in fast-paced low-budget projects. Get in shape to run your own Design Sprint. You'll learn two lean approaches to Design Sprint: Google Ventures (SPRINT) and The MVS, Minimum Valuable Service (THE SERVICE STARTUP). Master the agenda, methods, and resource management of both approaches, practice and gain full confidence to D.I.Y. Pass the exam and become part of our global community of Design Sprint Masters. Started in 2014, hundreds of Sprint Masters are already part of this community, making it the biggest and fastest growing community for Design Sprints. Exchange knowledge worldwide. Acquired Skills, Tools & Knowledge. We are a skill-building academy. We specialize in Design Thinking education and empowerment, with which our founders have over 20 years of experience, many books published and thousands of graduate students worldwide. This means we are not here to sell you on our practice or on how smart we are. We are here to guide and equip you so that you can build your own design practice. We pledge to educate Design Sprint Masters, and this means acquiring skills and knowledge that go beyond workshop facilitation. We will teach you robust UX Design, Design Thinking, and Service Design foundations and skills. On the practical side, you will feel like sprinting with a real client. We are based in Silicon Valley, our founders are continually mentoring and sprinting with cutting-edge startups. Our global community of graduate Sprint Masters is the most diverse group of Sprint Masters you will find. We are also a lean startup, not a consultancy firm. So you are learning from practitioners. We live what we preach. To the right, you can see the areas of knowledge we cover rated from 0% to 100%, where a full bar means we cover the most relevant topics related to that area. Master the Design Sprint flow and agenda. With the skills you will learn you will be able to modify and create new Design Sprint agendas and flows that fits your needs. Often Sprint Masters need to adapt according to their needs and resources. This means making changes in the original process flow depicted in the original books or ever-changing modifications of it like Design Sprint 2.0. These hard-coded Sprint agendas need constant adjustments to perform in specific scenarios and with specific resources. We teach a strong Design foundation which prevents Sprint Masters from getting stuck or having to conform to specific Design Sprint protocols. Sprint Masters should feel confident to adjust and modify the Design Sprint flow as needed. What you will learn and practice at Design Sprint School. During the four-week boot camp, we present a balance of theory and practice aimed to build up your confidence and set you up to run (and sell) your own Design Sprints. Get ready to deep dive in one of our rich scenarios and design solutions using our unique canvas-to-canvas approach. This approach was designed to make your experience learning about Design Sprint a smooth sailing one. You can take as much time as you want to go through the Boot camp, usually students complete the course in two months. That being said, it is possible to finish the core-program in just one month. Here is a suggested breakdown structure for that. Learn the foundational skills and concepts necessary for you to go beyond canvas-operation and get into the thinking of Design Sprints. - The need for speed. How it's made: Funnels and Ecosystems. - MVS model :: The Time Machine. - GV model :: Map. Learn how to frame the problem in a way to inspire the sprinting team to pursue it like a challenge. You will also learn how to interview users and profile them during this week. How it's made: User research and journeys. - Service Ecology/ Maps/ Consumer Journeys. Practice: Interviewing users and mapping their journeys. - MVS model :: Sprint Ethnography, Hero profile, Recruitment, in-depth conversation, Hero Quest. - GV model :: Ask the experts, HMW questions, Lightning demos. Based on the insights gathered on week two, you will learn how to design solutions using both standalone and co-participatory approaches. How it's made: Ideation and refinement. - Ideation techniques (Swap and Four step sketch). - MVS model :: Swap ideation. - GV model :: The four step sketch, Storyboard. Learn how to prototype your solutions using cheap and easy-to-change materials. Also, learn best-practices on how to manage, measure, and prioritize the results of a Design Sprint. How it's made: Early stage prototypes, design sprint management, ROI. - Managing/ Facilitating best pratices. - Building a prioritized backlog. - GV model: Prototyping, look for patterns. Our famous and carefully designed Sprint Master Toolkit has everything you need to run your own Design Sprints. You will receive a Sprint Master toolkit containing all the canvases you need to run your own Design Sprints. The kit also includes two Sprint Master's guidebooks you will use to set up the perfect sprinting pace and never get lost when facilitating a Design Sprint. The Blue Book covers the GV model and The Black Book the MVS model. These hands-on manuals and canvases are a treasure you will only find in this program. They come full of tips and hacks giving you the confidence you need to run your own Design Sprints. Bootcamp: All you need to know to start your practice. All-Access Monthly Pass to The Design Sprint School bootcamp. Two Design Sprint Methodologies: Learn Design Sprints with the Google Ventures' method and Service Design Sprints with the MVS model. Run a solid Design Sprint with our Role Playing game-like rich scenarios. Access a library containing hundreds of completed canvases and prototyping videos. A complete toolbox with checklists, canvas, agendas, best practices and facilitation step-by-step explainers. A constantly updated library containing crash courses ranging from sales to facilitation and beyond. A unique source of knowledge containing all you need to know to set shop and dazzle your clients. Access to our Facebook closed group where you can recruit helpers, exchange ideas and receive help from other seasoned Design Sprint Masters. No risk! Cancel anytime. No need to contact us to do it. No gimmicks. We work hard to create relevant content and constantly listen to our students and update the Bootcamp just so you don't. mentor's feedback and Design Sprint Master certification. Everything you have in the previous plan plus become a Certified Design Sprint Master. Graduate and receive our Linkedin ready digital certificate badge: It will provide credibility. Receive mentor's feedback on practices. 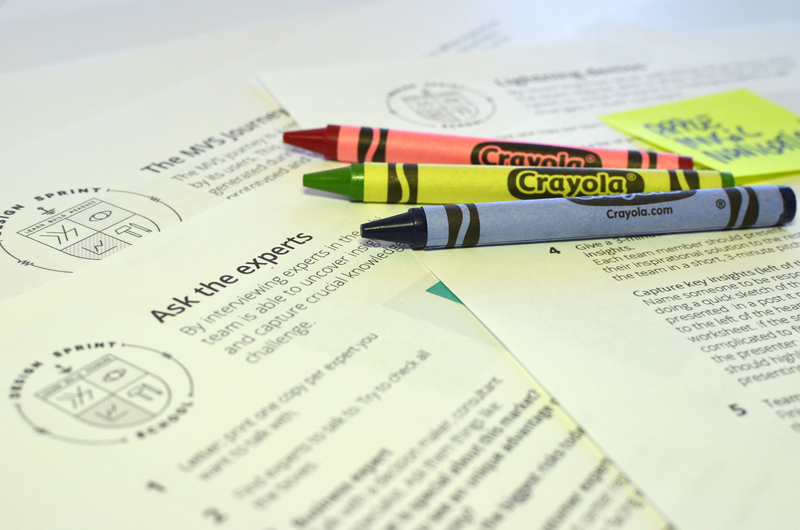 Get two attempts at the Design Sprint Master certification exam. Pass the exam to update your badge from graduate to Certified Design Sprint Master, the industry gold-standard for Design Sprints. Get into our referral network - Only for Certified Design Sprint Masters. With hundreds of certified Design Sprint Masters sprinting all over the world the demand is high. We are always referring new certified Sprint Masters to companies and senior Sprint Masters in need of some help. START LEARNING and get certified! Our community of certified Design Sprint Masters has collectively run over a thousand Design Sprints worldwide, and counting. "What I valued the most was the rich discussions with the role group and the peer designing approach that gave a warmth to the program despite the distance, creating a proximity between me the peer and the mentor." "It was great to be able to interact, practice and connect with other like-minded entrepreneurs. The learnings and tools I've learned at the program will help me in my current project which is related to the participation of women in a refugees-can-code initiative." 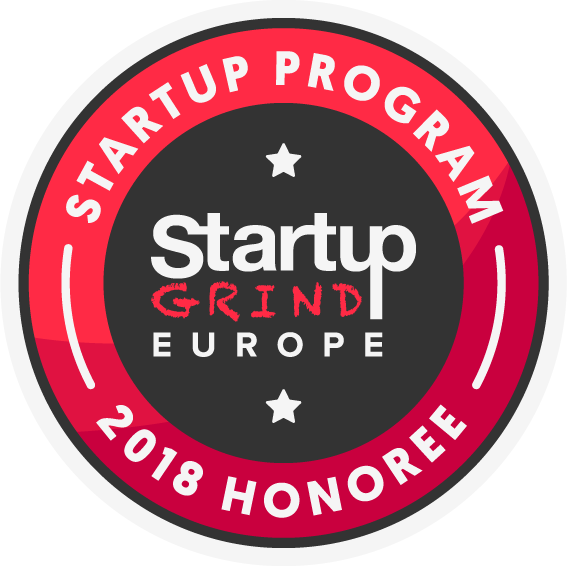 "I really enjoyed the program, the content and the ability to practice along the way with a peer and a strong support from the mentors made all the difference. " Customer experience designer at Telstra. "I rediscovered the energy I felt years ago during Stanford's Ignite in the first design thinking training I did"
"The Design Sprint helped us find an alternative business model and revenue stream and we ended up pivoting the business. Huge impact on our startup in such a short period of time. Business changing experience"
Founder of a Silicon Valley based startup. Since we've pioneered Service Design Sprints in 2014 we've been busy teaching both the MVS and the GV Design Sprint models to product developers around the globe. Our diverse community of alumni Design Sprint Masters includes startups in Silicon Valley, small businesses in Latin America, innovation powerhouses like Cisco in the USA, government agencies in Malaysia, tech giants in Japan, and the list goes on. The Design Sprint School is a direct result of these learning and teaching experiences collected during such complexity-rich and culturally diverse engagements. Our mentors are seasoned Sprint Masters with vast experience in running Design Sprints all around the globe. They are thought leaders and professionals coming from different backgrounds. They carry the Sprint Master Certification and are also certified by institutions like the Nielsen Norman Group (NN/g) and other renown User Experience educational groups worldwide. Our Student Experience team is responsible for handling the on-boarding, on-going, and graduation experiences. They are here to guarantee all our students have the materials they need to succeed, as well as resolving any issues our students might have. As the author for the program and lead mentor, Tenny is always present in the live edition to interact with students, challenge them, answer questions and coach the other mentors to make sure they do a great job in guiding our students through the Bootcamp experience. He is also in charge of the mentor reviewing process for the DIY program. Check his Bio below. Author, Designer, Developer & Serial Entrepreneur. Tenny Pinheiro lives in Silicon Valley, CA. He pioneered Service Design Sprints by publishing in 2014 his book The Service Startup: Design Thinking gets Lean (2014 Elsevier/ Altabooks / Hayakawa). In the book, Tenny proposed the MVS model, a Service Design Sprint methodology based on the integration of Lean Startup and Service Design Thinking. The MVS was the first methodology to suggest an Agile Sprint approach to Design Thinking projects. The book was published two years before Google Ventures launched the book Sprint. Tenny has over a decade of experience with Design Thinking education, and has designed corporate accelerator programs for companies all around the world and in Silicon Valley. He ran, mentored, and directly influenced over a thousand Design Sprints worldwide. Before pioneering Service Design Sprints, he was the founder and the CEO for the Latin America studio of Livework. Livework is a prestigious British Service Design firm regarded as the pioneer agency that introduced Service Design to the world. Tenny authored six books on Design Thinking, Service Design and Design Sprints and is a permanent columnist at the influential online Design magazine Core77.